Today, I want to encourage you deeper into God’s grace. You see, we are all invited to live and move around in God’s grace. We don’t have to tiptoe around or stay around the entrance in God’s kingdom. Because of Jesus, we are all welcome right into the center of God’s sweet presence. God loves to save sinners but, folks, that’s not the end. He has beautiful things in store for all his children. You see, grace activates you to bear fruit. This is God’s will for you. Only Jesus can make us fruitful. Our own, even religious, efforts do not produce any fruit. Only grace activates us to produce spiritual fruit. But grace does not have any bounds. We were meant to walk on the water. Nothing is impossible with God. Wouldn’t it be wasteful to live our lives self-centered-ly and passively? I love how Henri J.M. Nouwen pushes us to see that we do have an active purpose here on earth. Each one of us. You and me too. Entertainment is not enough to give us meaning while on earth. God indeed has plans for you. Not to harm you but to give you purpose. And all this is empowered by his grace. God’s amazing grace activates you to bear fruit for his glory. You are important in God’s kingdom. God knows you by name. So come on in deeper into God’s grace. It’s meant for you to live and move in it. God wants to bless you and keep you. But also activate and empower you for love and service. So much grace, my friend. So much grace for you. when you want to provide everything for us. Open our eyes to see how much grace you have for us. Embolden us to come into your arms. Thank you for inviting us into active participation. Show us what you want us to do. Pour out grace upon grace to change us inside out. Q4U: Are you done with passively floating through life? 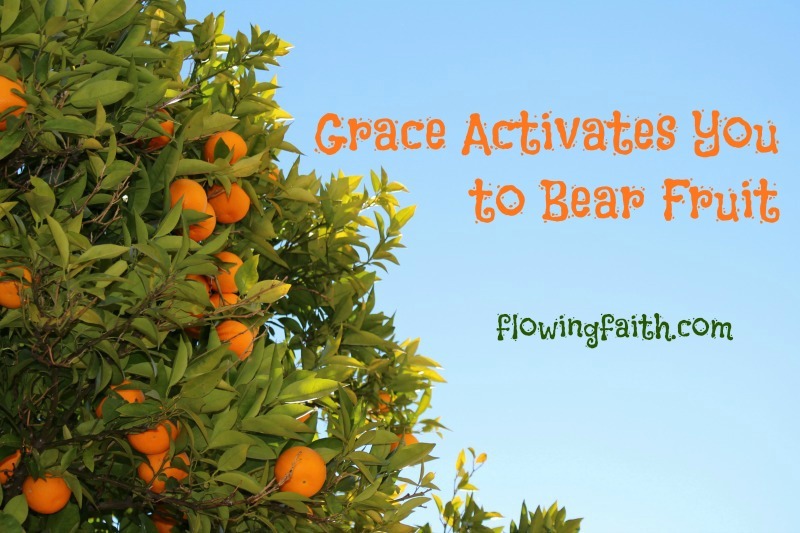 Are you ready to let grace activate you to bear fruit, much fruit for God’s glory? Come deeper into God’s grace. So much grace. For you. 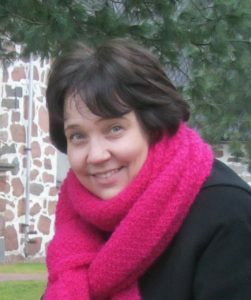 I will be writing less at Flowing Faith in the coming months because I need more time to write a book manuscript. I am hoping and praying that I could finish it over the summer months but we will see. My posting schedule will be Tuesday-Friday from now on. I will be looking forward to interacting with you then. Also, I welcome your prayers for the project and anything and everything that surrounds it. Thank you very much for your understanding. Image courtesy of Brian Jimenez/Unsplash.com, design by Mari-Anna Stålnacke. I am linking up with Unite the Bloggersphere and #tellhisstory.